Top quality work roofing at competitive prices. Ridge Meadows is locally owned & operated since 2001 and is a long standing member of both BBB and WCB. Visit our website to learn more about us. We'd love to take care of your roof. Trevor and crew came and did everything he promised and more. We are extremely happy! He was the best price and got the job done quickly. Man of his word! Thanks for the new roof Trevor. It looks great and it withstood everything Mother Nature could throw at it the day after it was completed. We lost power and had branches fall on the house but it held up without issue. Thanks also for checking in the following week to make sure all was well. It’s not often I get a follow up courtesy call from a company after completion. Cheers. Txs Bert for the great review. Glad to hear you are happy with the new roof. I'm sure you will be problem free for many years to come. Txs again for your business. I got 5 quotes in all. Trevor offered the best price and the most straight forward package. He was also the most approachable and most prompt, and spoke in a way that I could understand. Trevor offers a 10 year transferable labor warranty like the best roofers around town so I'll have complete peace of mind for 10 years. Very happy with Trevor and his crew and would recommend him to anyone needing a new asphalt roof! Txs for the great review Tai! Awesome of you to take the time to leave us some kind words. Appreciate it. I had them install a new roof after my neighbour recommended them to me. Price was good, quote was well written and clear and job was completed as quoted. The new shingles look great and the colour trevor recommended matches our house perfectly. Definitely recommend. Txs for the kind words John! Glad your happy with the new shingles and yes the colour complements your house beautifully. I appreciate your time to write a review and your referrals. My wife and I just had Trevor from ridge meadows roofing install a new roof for us. We couldn't be happier with the quality of the work and the clean up was excellent. The job was done exactly as he had quoted us and for the exact amount as quoted. The fact that he didn't ask for any money until the job was finished made us feel very comfortable with hiring him. We would definitely recommend! Thank you for the great review Steve! It was a pleasure working for you, we really appreciate it. Trevor and his crew are a very professional organization. Trevor came to the site on time, provided a competitive quote and a date that they could do the work. They arrived on the date specified, completed the work on time, cleaned the site and delivered the invoice with the quoted amount - no extras. I highly recommend Ridge Meadows Roofing and will use them again. Amazing company: KIND & professional. His price was only slightly higher then his competitors but his product was FAR superior. I'm super pleased that he chooses to use a quality product for his company & customers. The men he had working for him were courteous, respectful and humorous making a long day enjoyable. When the job was completed(FASTER then I expected! :-) they did a great job of cleaning up all the debris around my house. I HIGHLY recommend Ridge Meadows Roofing. Trevor at Ridge Meadows Roofing was very professional and informative. He never hesitated to help us through the process of getting our roof, and he and his crew were done in one day with no hassle or fuss. Was such a great experience, cannot thank them enough! We were referred to him by a friend, and couldnt be happier. 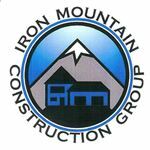 Ridge Meadows Roofing has done work for Iron Mountain Construction Group Ltd for the past 8 years and we highly recommend them. They are always dependable,good pricing, great workmanship that comes with a warranty. Anything from small repairs to entire roofs, Ridge Meadows will be there for all of your roofing needs. Ridge Meadows Roofing did a PERFECT-O job on my roof. All my friends and family were asking things like "Who did your roof, its so nice?" and "I LOVE YOUR ROOF! which company did it??" I STRONGLY recommend you choosing Ridge Meadows Roofing to do your roof!!!!!!! Trevor replaced a part of my roof, was done very quickly at a good price, and I've been very satisfied, won't hesitate to have him do work for me in the future!! Trevor at Ridge Meadows did a complete reroofing (asphalt shingles) of our home. Estimate and job were both completed quickly, and cost was exactly as quoted. Roof looks great, and excellent warranty provided! In this day and age it's nice to deal with someone who offers a fair price and doesn't waste your time trying to upsell you extras that aren't required. Wouldn't hesitate to recommend this company! 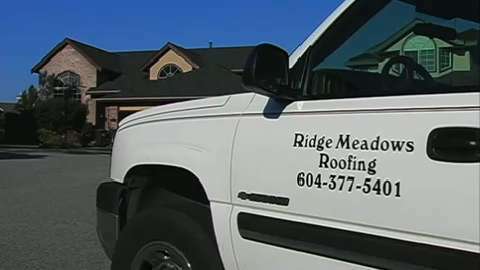 I would recommend Ridge Meadows Roofing. They got back with a quote fast. The job was done as promised.All the debri was removed and the roof looks great. They give a guarantee for 10 years and it can be transferred. Great from beginning to end!! From initial contact through to completion of service and picking up payment, RMR was terrific. The job was well priced and the work excellent. Interaction and follow up with them was timely, pleasant, and accurate. Wouldn't hesitate to recommend RMR!